I'm looking at 13573 S Gallagher Road on www.realestateone.com.com and would like some more information. IMPECCABLY MAINTAINED, gorgeous log home offering over 4300' of beautiful craftsmanship including 4 bedrooms each with a private full bath. The gourmet kitchen has Quartz counters, new stainless appliances with an additional wall oven and a large island for entertaining. Other interior features include main floor laundry with additional laundry in the lower level, 2 gas fireplaces, ceiling fans in all bedrooms, walk-in closets, hickory hardwood floors and a large workshop or hobby room. Exterior features include pristine landscaping with irrigation, fish pond with waterfall, fountain, hot tub, gazebo, multiple decks/patios, 2-car attached garage plus a pole barn with a John Deere lawnmower included, maintenance free exterior staining and a separate guest entrance in the lower level. 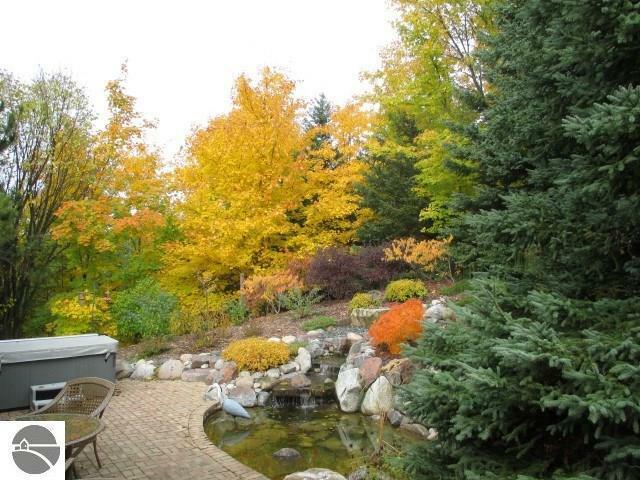 You will enjoy luxury plus privacy on this 6+ acre homestead and only 5 miles from downtown Traverse City! No detail is overlooked inside and out with a whole house generator and central air. Located at the base of the Leelanau Peninsula provides easy access to shopping, wineries, an array of dining and all season sports. The property is OFFERED FULLY FURNISHED as a beautiful "up north" turn-key B&B, or could easily be used as a single family residence. Zoned Residential/Ag & surrounded by small acreage homesteads. Our Michigan real estate agents can answer all of your questions about 13573 S Gallagher Road, Traverse City MI 49684. Real Estate One, Max Broock Realtors, and J&J Realtors are part of the Real Estate One Family of Companies and dominate the Traverse City, Michigan real estate market. To sell or buy a home in Traverse City, Michigan, contact our real estate agents as we know the Traverse City, Michigan real estate market better than anyone with over 100 years of experience in Traverse City, Michigan real estate for sale.